Jesus was God with us. No imitation, knock off, or clone, he was God with us. To this day, he sustains all creation with his word — so much for "Mother Nature." But now God-with-us has paid for our sins and is not just God-with-us, but he is also God-for-us at the Father's side. Precious Lord, as you have so many times in the past, you take these humble human words and bring them to the Father as my friend and brother. Thank you for your sacrifice for my sins. Thank you for your sustaining presence in our universe. Thank you for your daily intercession. Thank you for being God-for-me at the Father's side. 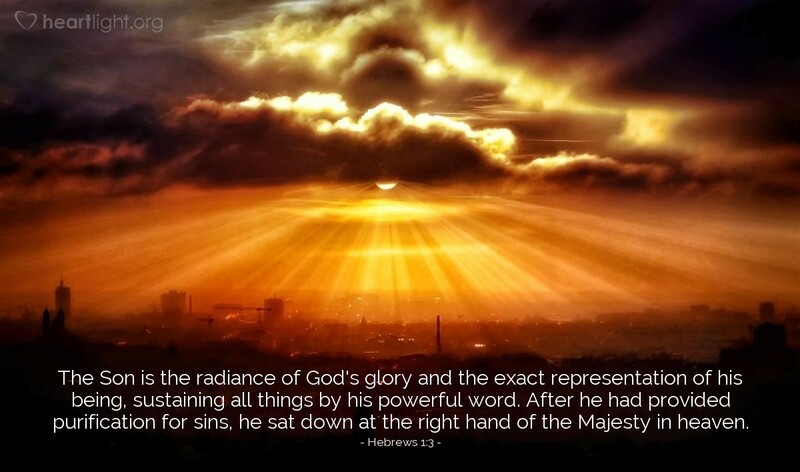 To the glorious, majestic and holy God, who sent Jesus as Savior, be glory, honor, and adoration forever and ever. Amen.